I have a thing for jumballs. When Alyssa and I started this website (four years ago this month! ), I only had the vaguest idea of what “jumball” was or might be. 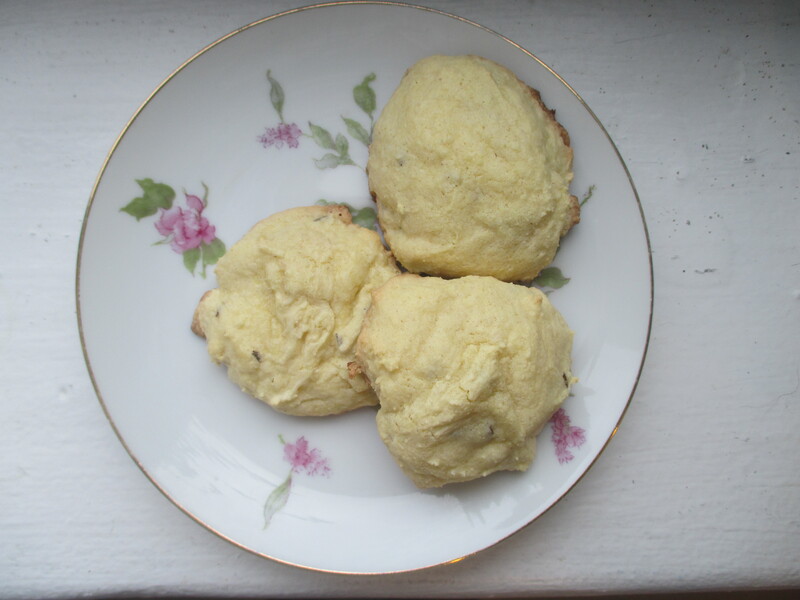 Then I read many, many recipes for these delicious early modern sweets. 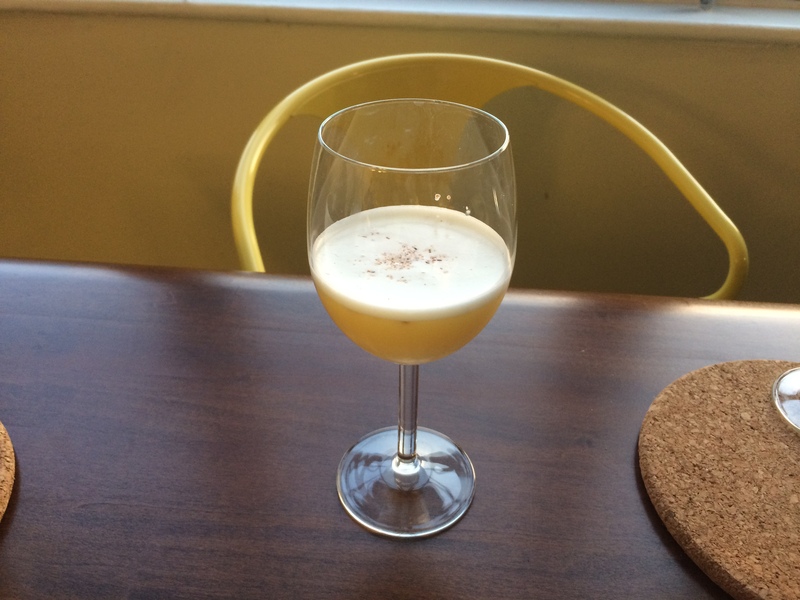 It seems like there is at least one jumball recipe in every manuscript that I’ve consulted. 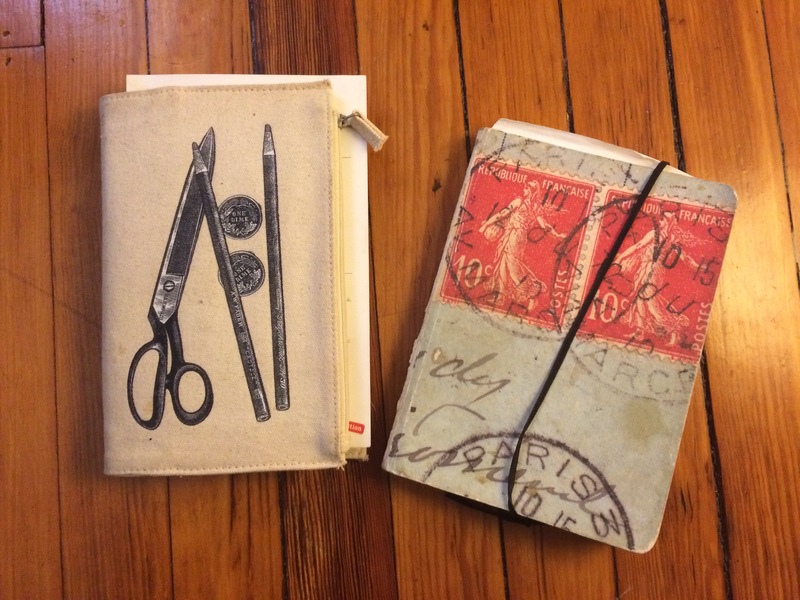 I’ve also posted some here: My Lady Chanworths Receipt for Jumballs (UPenn) and Almond Jumballs (Folger). The first recipe has seamlessly entered my regular baking repertoire and my friends love them. 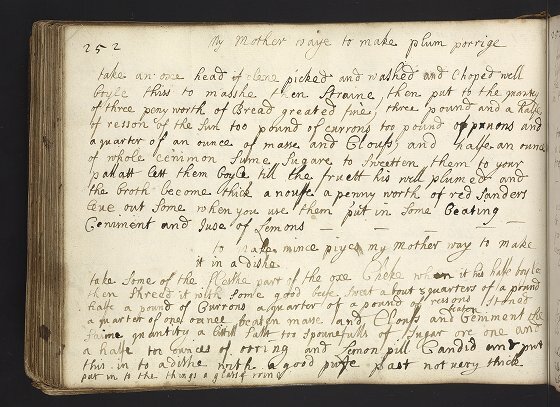 Toothsome, spiced, and versatile, jumballs showcase my favorite parts of early modern confectionary and baking. I think this recipe for jumballs flavored with aniseed and sack then twisted into letters and knots has the potential to become a perennial crowd-pleaser as well. And I promise you, for better or worse, this is not the last you’ll hear from me about jumballs. 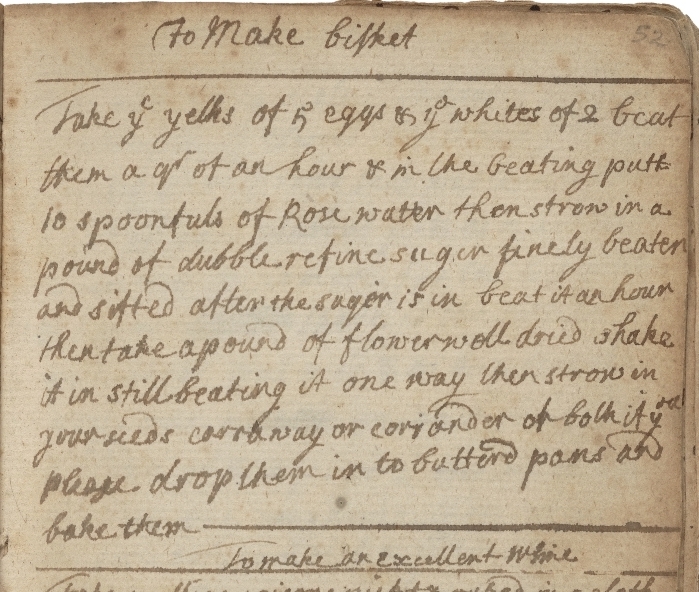 This recipe is from Mariabella Charles’s recipe book, UCLA’s Clark Library MS.1950.009. I had the pleasure of consulting this manuscript on a recent visit and I’m looking forward to returning for a month-long residential fellowship next year. 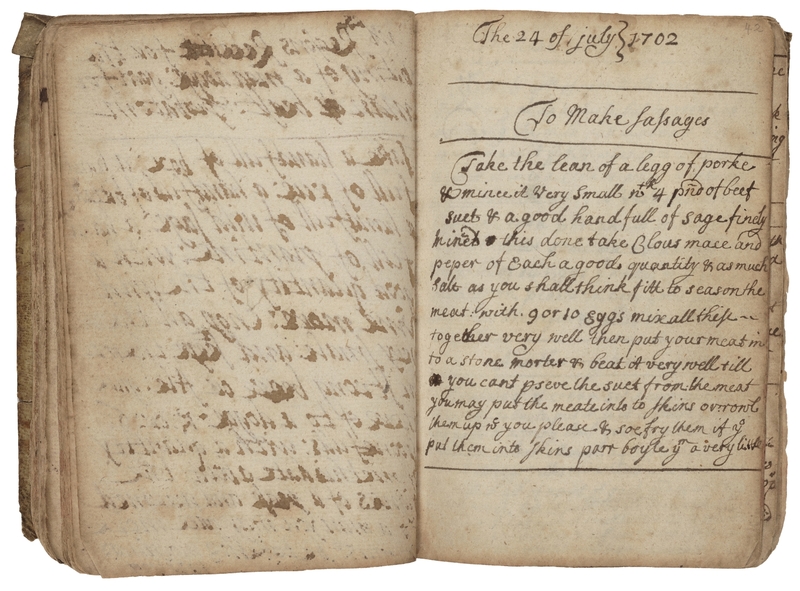 I’m excited to share more recipes from this manuscript, and other Clark holdings, soon. 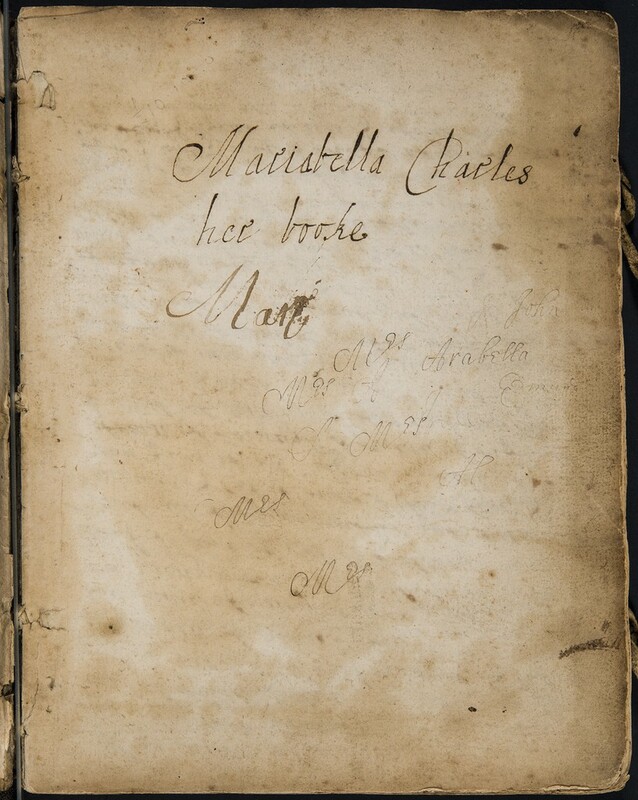 Mariabella Charles started this recipe book in 1678 and it includes entries in three other seventeenth-century hands by individuals who the catalog suggests may, or may not, be connected to Charles. Like most recipe books from this era, Charles’s has a recipe for jumballs and I was intrigued to see flavorings that I hadn’t tried in a jumball before listed among familiar ingredients. 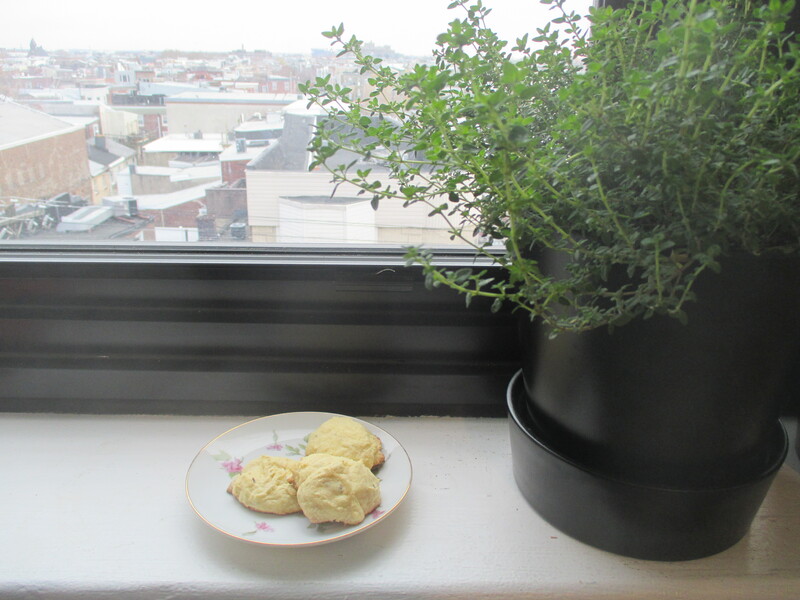 Aromatic with aniseed and sack, rich with egg, these jumballs reminded me of my Grandmother’s Italian cookies. When I called her to ask about this she confirmed that she puts these flavors in her biscotti. In her words, “It’s a good cookie to have around so you can have it with coffee” and I heartily agree. 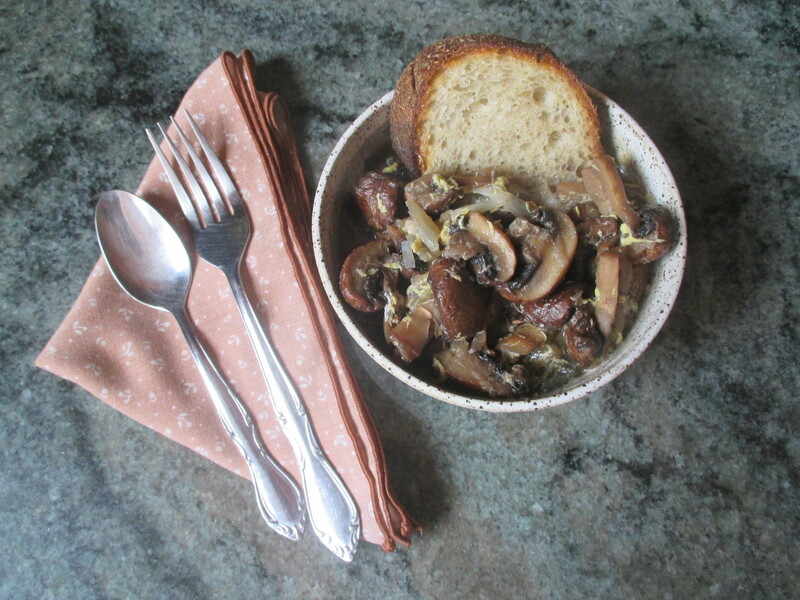 If you don’t have aniseed around you can substitute fennel, but I loved the specific flavor of the aniseed here. At first, this dough wouldn’t come together. I added an extra half cup of flour tablespoon-by-tablespoon until I could shape the dough into “knotts and lettors” as the recipe instructs. The recipe below includes the flour that I added in the total flour amount. I successfully shaped a few knots and the letters M, C, and J for Mariabella Charles’s Jumballs. Although shaping letters and patterns is often a part of making jumballs (as this GBBO technical challenge showcased), I’ve often found the doughs difficult to handle. I think these pliability issues have to do with the liquid content of twenty-first-century eggs and the texture of modern, milled flour. Mix ingredients together. The dough will still be tacky, but you should be able to roll it into strips on a floured board. Shape rolls into letters, knots, etc. Bake on a baking sheet lined with baking parchment or greased for approximately 30 minutes. Check at 20 minutes and extend your baking time if needed. The jumballs should be golden on the outside and still soft in the middle. These were truly delicious. I ate one. Then another. They paired beautifully with my morning coffee and my afternoon tea. As usual, my grandma was right. They’re a great cookie to have around. I’m glad to have another jumball recipe in my pocket and especially pleased that I can shape this one in creative ways. 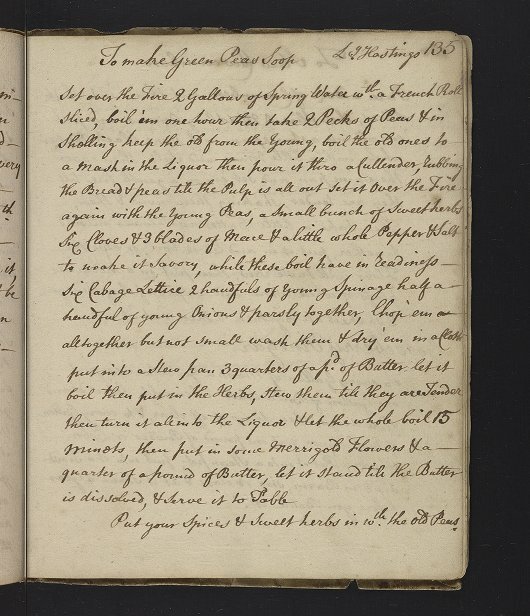 When I read this recipe for “German Puffs” in (perennially interesting) UPenn MS Codex 644, I immediately thought of Dutch Baby pancakes. Custardy sharing pancake-popover hybrids are all over food media these days and the proportions of eggs to cream to flour in this recipe looked really familiar. I had to try it. The German Puffs were fluffy, rich, custardy, and delicious. Their texture and taste was both familiar and unfamiliar. I’ve become accustomed to that mixed feeling when testing recipes for this site. 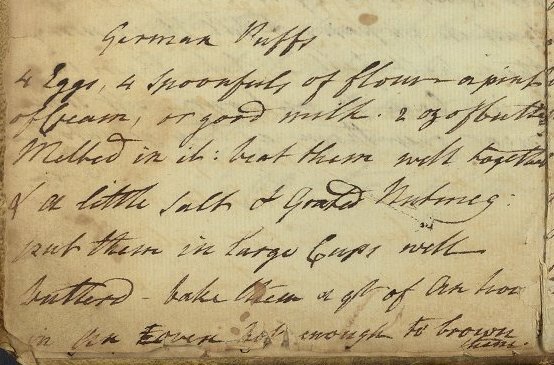 Unsurprisingly, this recipe sent me down an internet rabbit hole investigating various Dutch and German puffs, babies, and pancakes. In Pancake: A Global History, Ken Albala excludes this whole group of eggy-battered preparations from the category of pancakes altogether. The fact that the Dutch Baby, the German pancake, and the Yorkshire pudding all need moulds to rise disqualifies them from Albala’s pancake taxonomy. All this leads me to ask where did Grandmama Franklin find this recipe? (She is likely the compiler for MS Codex 644 and I wrote about her backstory here) Did she write it down in England? In South Carolina? Learn of it through her global networks in the East and West Indies? Did she read about German Puffs in a printed source? The Oxford English Dictionary and the database of early print Early English Books Online didn’t offer any conclusive results. The origin of the German Puffs remains elusive, but the dish is delicious. in an E oven hot enough to brown them. I prepared half of this recipe in a greased six-inch cast-iron skillet and the other half in six greased “cups” of a muffin tin. I greatly preferred the result that I got in a skillet and refer to that in the instructions below, but you could also use this to make somewhere between 12 and 24 small puffs. The full amount would work nicely in a larger skillet. The recipe is also easy to halve. When the oven is hot, grease your skillet with butter. 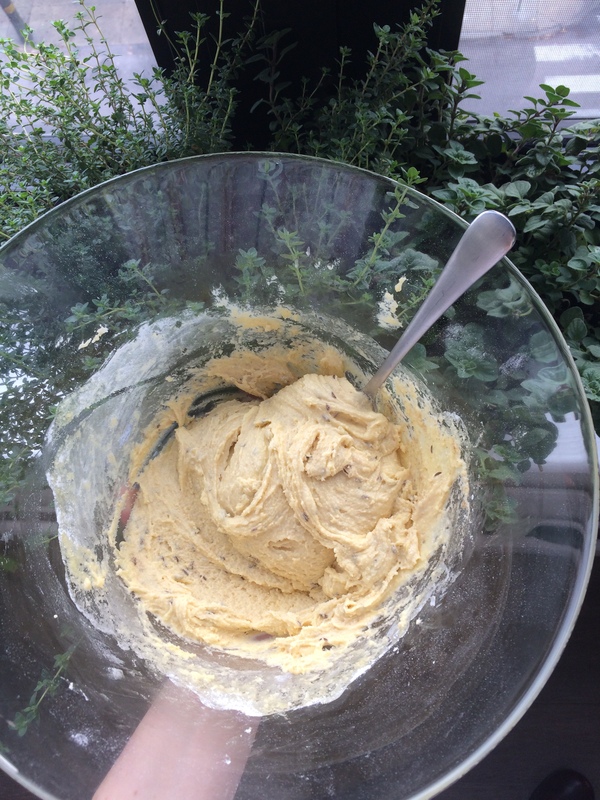 Whisk together ingredients in a mixing bowl or large pitcher. When batter is combined, pour it into the skillet. Bake 30-35 min, until the puff is puffy and golden brown around the edges. Serve hot. Sprinkle with sugar or other toppings. Somewhere between a Yorkshire pudding and a souffle, German puffs are a rich and satisfying dish. 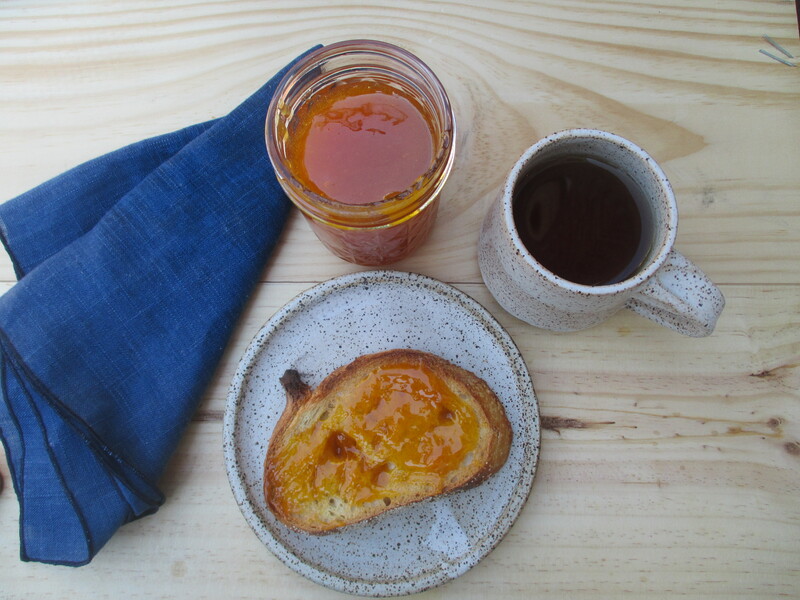 This is a quick and easy historical recipe that makes a tasty breakfast or brunch dish. 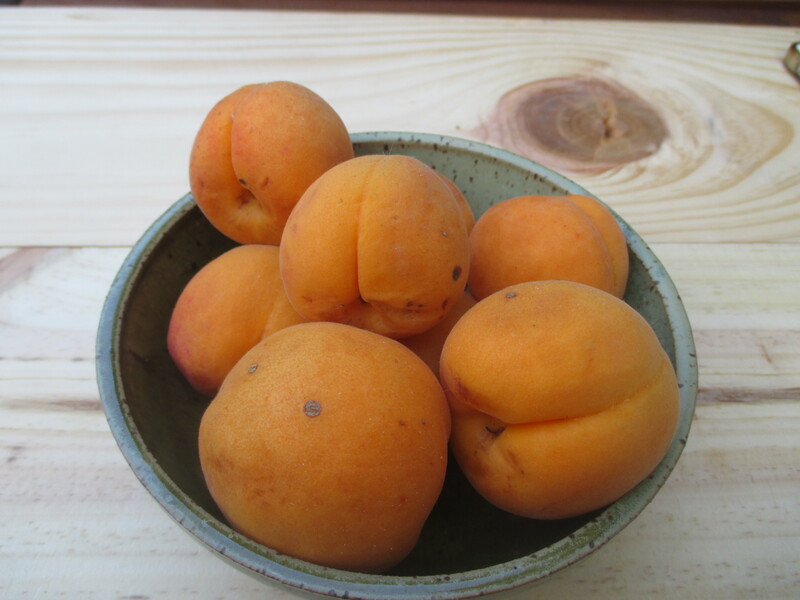 I’m excited to try them again with fresh berries or a fruit compote on the side. They are even delicious a day later reheated in a toaster oven or oven.